• Josephine Centeno, 18, of Brielle, was arrested in the area of Monmouth Street on Aug. 31 and charged with disorderly conduct by Patrolman Shane Dengel. • Stephen Gerra, 18, of Brielle, was arrested in the area of Monmouth Street on Aug. 31 and charged with disorderly conduct by SLEO Luke Cahill. • Ezperanza Minyeti, 18, of Long Branch, was arrested in the area of Monmouth Street on Aug. 27 and charged with invasion of privacy by Detective James DePonte. • Antonio Palacios-Castro, 37, of Long Branch, was arrested in the area of Monmouth Street on Aug. 27 and charged with disorderly conduct and contempt of court by Patrolman Stanley Balmer. • David Foggy, 47, of Keansburg, was arrested in the area of South Bridge Avenue on Aug. 26 and charged with burglary and theft by Patrolman Darren M. McConnell. 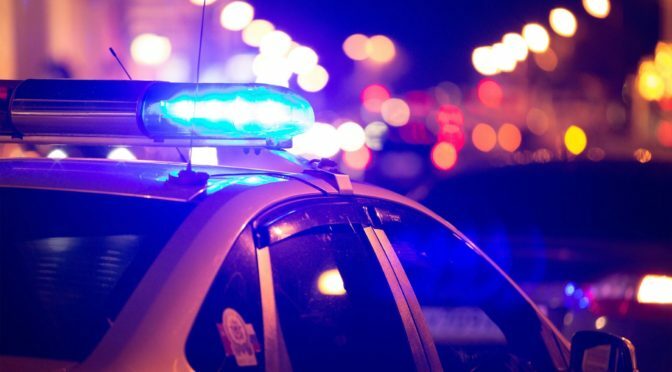 • Michael Fish, 28, of Middletown, was arrested in the area of Rector Place on Aug. 26 and charged with driving while intoxicated (DWI) and contempt of court by Patrolman Darren M. McConnell. • Steven Marston, 42, of Wall, was arrested in the area of Route 35 on Aug. 25 and charged with driving while intoxicated (DWI) by Patrolman Ashon Lovick. • Porfirio Perez-Rosas, 29, of Red Bank, was arrested in the area of Monmouth Street on Aug. 23 and charged with criminal mischief by Patrolman Thomas Doremus. • Gregory Philemond, 34, of Roselle, was arrested in the area of Pearl Street on Aug. 19 and charged with possession of marijuana by Patrolman Shane Dengel. • Thomas Armstrong, 36, of Red Bank, was arrested in the area of Newman Springs Road on Aug. 18 and charged with receiving stolen property and theft by Detective John Camarca. • Katherine Merges, 24, of Red Bank, was arrested in the area of Shrewsbury Avenue on Aug. 15 and charged with possession of marijuana and drug paraphernalia by Patrolman Stanley Balmer. • Jesse J. Morris, 53, of North Middletown, was arrested in the area of Bridge Avenue on Aug. 13 and charged with driving while intoxicated (DWI), manufacture/distribute controlled dangerous substance (CDS) or intent to distribute, possession of CDS, CDS on or near school property, under the influence of CDS, possession of prescription legend drugs, and possession of drug paraphernalia by Patrolman Sean Hauschildt. • Rafael Valladares-Aparicio, 51, of Red Bank, was arrested in the area of Catherine Street on Aug. 12 and charged with criminal mischief by Patrolman Sean Hauschildt. • Mohit Sood, 39, of Howell, was arrested in the area of Monmouth Street on Aug. 12 and charged with aggravated assault and disorderly conduct by Patrolman Ashon Lovick. • Jeremy Grey, 23, of Cranford, was arrested in the area of North Bridge Avenue on Aug. 11 and charged with driving while intoxicated (DWI) by Patrolman Ashon Lovick. • Jimel Jaafar, 31, of Eatontown, was arrested in the area of Monmouth Street on Aug. 9 and charged with criminal mischief and defiant trespass by Sgt. Robert Campanella. • Anna Yablon, 46, of Hightstown, was arrested in the area of Bridge Avenue on Aug. 5 and charged with simple assault by Patrolman Frank Metta. • Barak Peretz, 26, of Red Bank, was arrested in the area of South Street on Aug. 5 and charged with simple assault by Patrolman Shane Dengel. • Mark Lamana, 18, of Shrewsbury, was arrested in the area of Maple Avenue on Aug. 3 and charged with possession of marijuana and drug paraphernalia by Patrolman Sean Hauschildt.